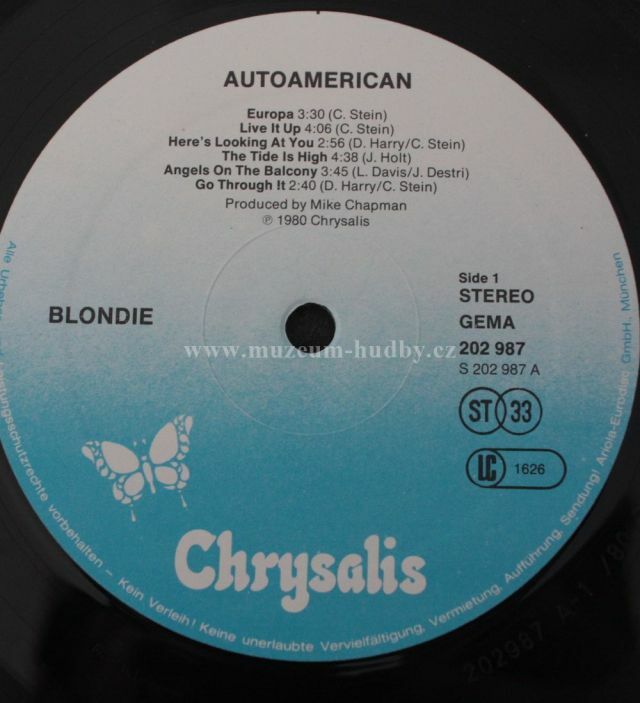 Autoamerican is the Platinum-plus fifth studio album by the US New Wave band Blondie. It was released in November 1980 and reached number 3 in the UK charts, number 8 in Australia and number 7 in the US. The album proved to be a radical departure for the band, with opening track "Europa", setting the pace. The track was a dramatic instrumental overture featuring orchestral arrangements and ending with vocalist Debbie Harry reciting a poem about the importance of the car in American society. Besides rock and pop tracks, the band explored a wide range of other musical genres: "Here's Looking At You" and "Faces" show jazz and blues influences, the reggae hit "The Tide Is High" was a cover of The Paragons' 1965 Jamaican ska hit, whereas "Rapture" combined funk, rock, jazz, and even saw them embracing the then budding genre of rap. The closing track, "Follow Me", was a cover of a torch song from Alan Jay Lerner and Frederick Loewe's 1960 Broadway musical Camelot, based on the King Arthur legend. The band released two singles from this album, "The Tide Is High" and "Rapture". "The Tide Is High" hit number 1 in several countries, including the US and the UK. "Rapture" became the first rap song not only to be released from the band but also the first ever to reach number 1 on the singles chart in the US (it also reached number 5 in the UK). 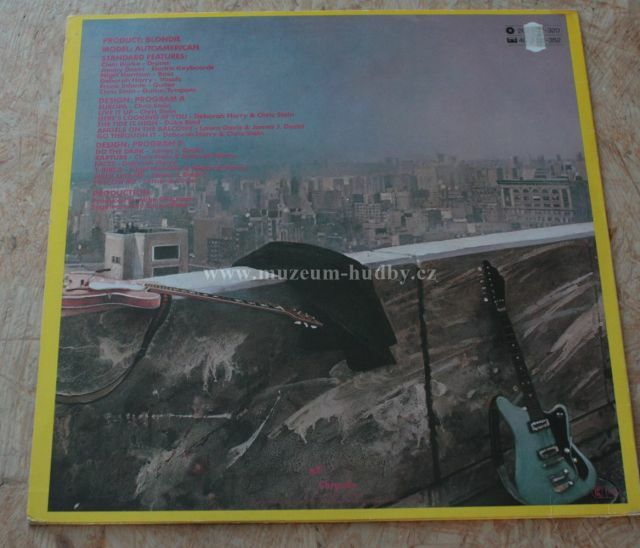 The first edition of the US pressing of the album had a sticker on the cover stating Including "The Tide Is High", "Rapture" and "T-Birds", suggesting that the track was planned as the third single release. 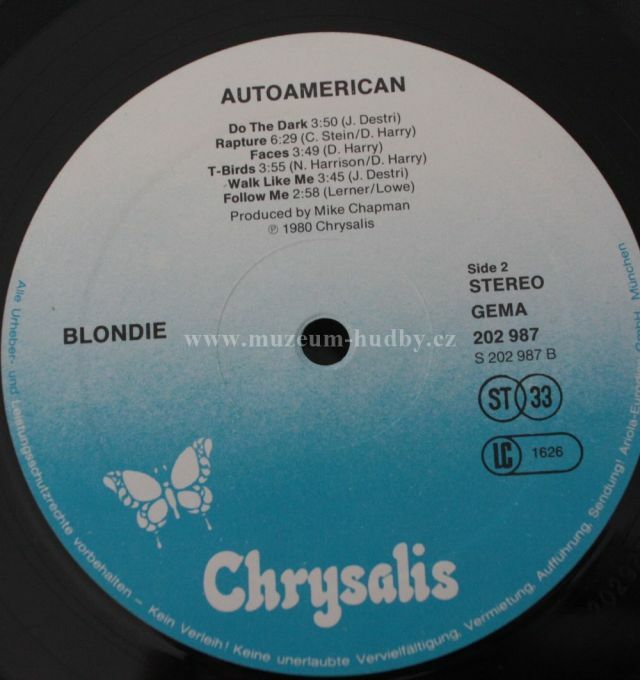 Autoamerican was digitally remastered and reissued with two bonus tracks by Chrysalis Records in the UK in 1994 which included extended "special disco mix" versions of "Rapture" and "Live It Up". The album was again remastered and re-released by EMI-Capitol in 2001, again featuring the extended version of "Rapture" along with the extended version of their number 1 hit "Call Me" (from the film soundtrack to American Gigolo), and also "Suzy & Jeffrey" which was originally the B-side to "The Tide Is High" single. Producer Mike Chapman insisted the band record in Los Angeles, of which Chris Stein lamented: "Every day we get up, stagger into the blinding sun, [and] drive past a huge Moon-mobile from some ancient sci-fi movie." 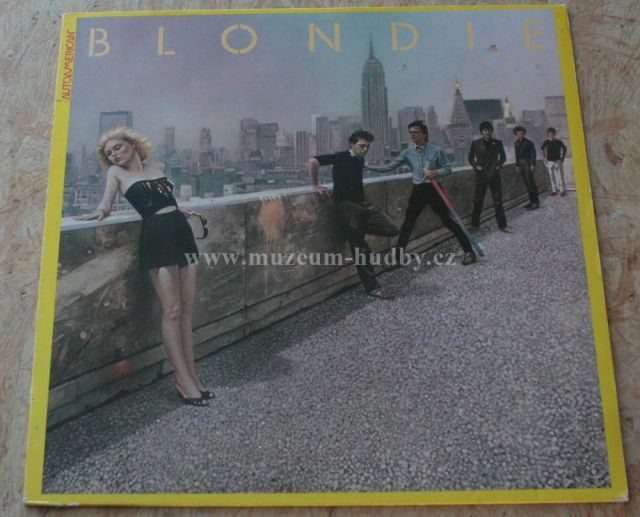 But Blondie insisted on a cover from their hometown, posing on a roof at Broadway and Eighth. The photo was treated to look like a painting.